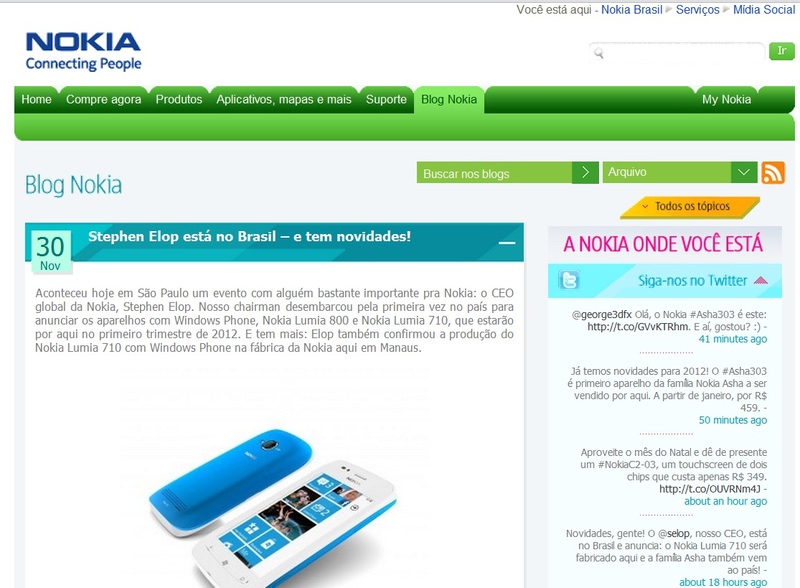 The official Nokia blog for Brazil says that Elop was in town and that the Nokia Lumia 800 and 710 are coming Q1 2012. More interestingly, the 710 will actually be manufactured right there in Manaus. The Nokia Asha phones are also coming to Brazil, with Asha 303, Asha 200 and Asha 201 being manufactured in Manaus too. « Video: Dynamic, Live Anna Icons in the works?